One slot piggy banks have been around for....centuries. But the world has changed. Now we have a highly sophisticated financial system, a system whose complexity has outstripped the ability of most adults. Personal finance education needs to start young. How? With the same universally loved childhood toy, the piggy bank....but with a 21st century twist! 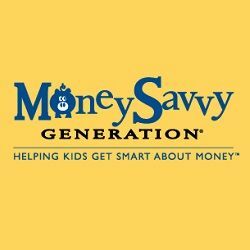 The Money Savvy bank has four chambers, one for each of the four money management choices a child should be taught from the time they are small. They are SAVE, SPEND, DONATE, and INVEST.